Since Savannah’s founding in 1733 as England’s thirteenth colony, countless life stories have been woven into the fabric of the Hostess City. 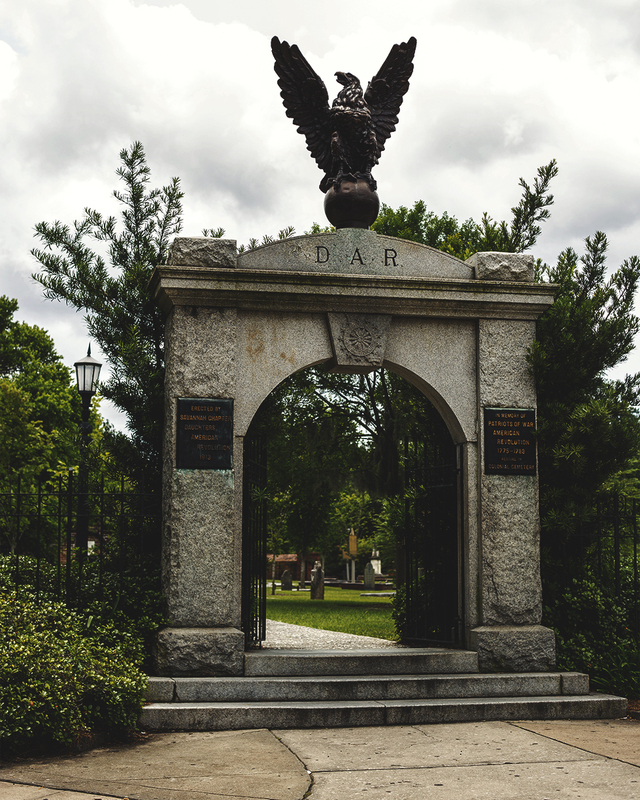 Buried beneath towering monuments and hidden in old diaries lie the stories that only the experienced tour guides of Savannah Terrors have been able to unearth and share with those brave enough to listen. When visiting Colonial Park Cemetery, guests can walk amongst centuries-old headstones. Each evening at 8 p.m., visitors are invited to follow the glow of lantern light to Oglethorpe Square on Abercorn Street, and embark on a 90-minute walking tour of the National Historic Landmark District‘s spookiest sites. The tour features nine stops along the one-mile route along Bull, Hull and York Streets. In Colonial Park Cemetery, guests are able to see centuries-old headstones and witness the devastating impact yellow fever-carrying mosquitoes had on Georgia’s port city. Tour guides share tales of Irish indentured servants seeking revenge on their masters, injured Civil War soldiers roaming the grounds they swore to protect and the honorable Native American Chief Tomochichi scorning the citizens who disturb his eternal slumber. While the Savannah Terrors’ tour guides cannot guarantee an apparition sighting on every tour, fun will certainly be had by all. Savannah Terrors’ tours are family-friendly, but known for their frightening authenticity, which may scare children under the age of nine. In addition to the traditional nine-stop tour, Savannah Terrors also offers extended tours featuring stops at 13 different sites, including the infamous Kehoe House and the legendary Davenport House. Guests are invited to rent an electromagnetic force reader to identify any spectral tag-alongs on their tour. This fall, make your trip to Savannah memorable and scare up some fun with Savannah Terrors! Savannah Terrors’ Tours are offered Monday-Sunday at 8 p.m., rain or shine. Tickets must be purchased in advance, either online at savannahterrors.com or by phone at (912) 328-6956. Tickets are $18.99 for guests 12 and over; $10 for guests 11 and under. Private group tours and extended tours are available. Savannah Terrors is offering a 10%-off special for September and October 2018 for readers of Savannah Scene and visitors to Savannah.com Users can enter code GOSAV at checkout for 10% off.